Montgomery County Animal Pest Removal Services are provided by Barnes Wildlife Control’s certified and knowledgeable team. Also, we provide fast and efficient animal & insect removal services for all of Montgomery County, Ohio. In addition, we can repair exterior and interior damage caused by regional pest wildlife. Need a fox trapper in the Montgomery County Ohio area? 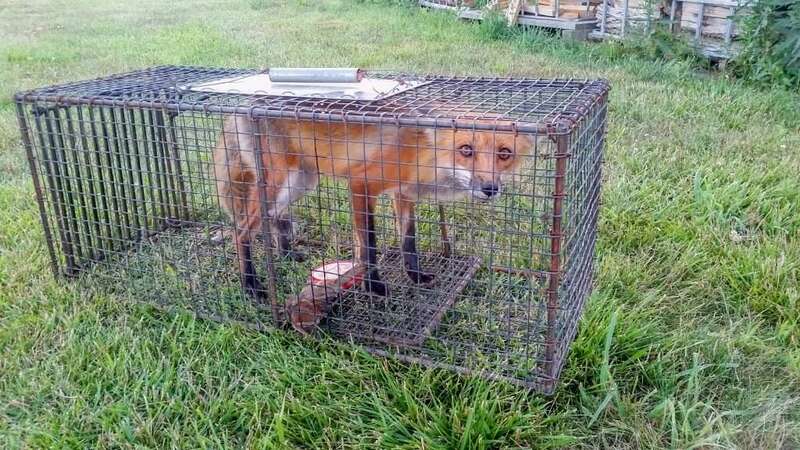 Barnes Wildlife control set a trap and removed this fox after it was found living under the deck. 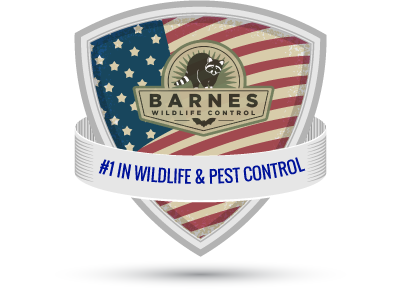 Barnes Wildlife Control is the most trusted and experienced Wildlife Pest Removal company in Montgomery County, OH. Our proven expert knowledge about each critter and insect prevalent in the area provides you with quick removal of wild animal pests and insects from your home or business. 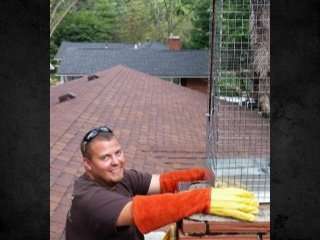 Each year, Barnes Wildlife Control provides animal and insect proofing services for countless homes in Montgomery County. Therefore, hundreds of satisfied Montgomery County Animal Pest Removal customers with former wildlife and insect invasion problems use Barnes Wildlife Control for all their wildlife and insect control needs. Barnes Wildlife Control’s Montgomery County Animal Pest Removal team has over 100 years of combined animal handling & trapping experience. We are members of the National Wildlife Control Operators Association and Ohio State Trappers. In fact, our Montgomery County pest control professionals are recipients of Angies’s List Super Service Award for 5 Years in 2014, 2015, 2016, 2017 and 2018! Montgomery County Animal Pest Removal isn’t your average animal pest control and insect control service. As dedicated professionals, we offer much more in exceptional service and guaranteed animal and insect damage repairs. To prevent future animal and insect intrusions, our certified staff will repair all entry points and restore attic areas with unbeatable warranty coverage. What’s more, none of our work is sub-contracted! Also, our sales staff are the same technicians making the repairs on your home. In addition, unlike most other regional pest removal companies, Montgomery County Animal Pest Removal is NOT commission-based. Call Montgomery County Animal Pest Removal now for complete wildlife and insect removal from start to finish at 937-340-1867. If you have bats in your home Barnes Wildlife Control’s Montgomery County Animal Pest Removal Service can solve all your bat problems. Montgomery County Animal Pest Removal goes the extra mile by performing a Whole House Inspection for Pest, Insect and Animal Sounds. Also, this doesn’t mean standing at the attic access door with a flashlight or standing in the driveway looking up at the roof. As part of our superior service, we actually go into the crawl space, attic, basement, and up onto the roof to accurately diagnose the animal or insect sounds inside your house. We want your problem solved as much as you do! So, to this end, we go the extra mile to remedy your wildlife invasion problem, so life can return to normal. Moreover, Montgomery County Animal Pest Removal continually trains and keeps up to date with the latest products and repair methods. As a result, the exclusion repairs we make to a home are seldom noticeable. Also, the repairs are made to be aesthetically pleasing to the eye but strong enough to keep out wildlife. Jacob Barnes, owner of Barnes Wildlife Control, shows an animal entry point during an inspection of a Montgomery County home. 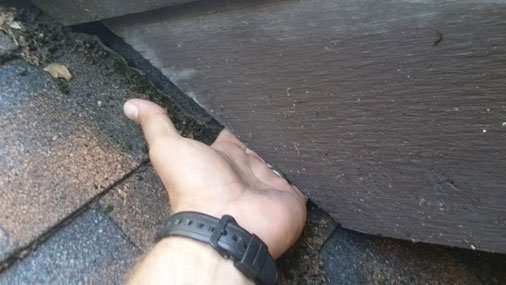 Bats, squirrels, and mice use construction gaps like this to get in the attic. Clearly, this loose piece of fascia board needed repair in order to keeps animals out of the house. The photo below shows a perfect example of an animal entry area. As you can see, the builder cut the wood short and never came back to caulk, seal, or metal flash the large gap that rodents and pests use to enter the attic. Another key point: once insects and vermin find these openings in the house, they have free rein inside the attic, down into the walls, and possibly inside the home. 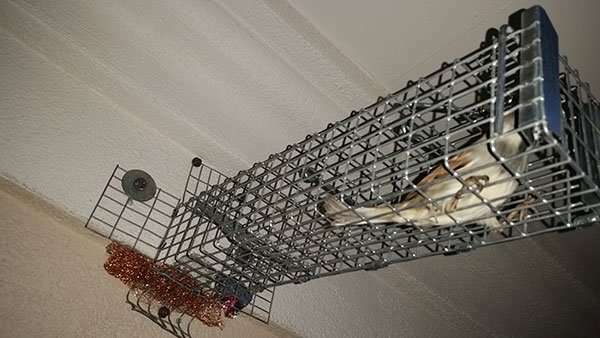 By all means, if you are hearing critters in the attic or sounds coming from the ceiling area, give Montgomery County Animal Pest Removal a call to diagnose and resolve your wildlife pest control issues. We always make sure our clients are 100% satisfied. And we do it with a smile! Our professional team are THE leading experts in the business. And best of all, we work in the following Cities, Villages and Townships and Unincorporated Communities of Montgomery County, Ohio. So, if you live in one of these areas you are lucky since our Montgomery County Animal Pest Removal Services are second to none! Montgomery County Animal Pest Removal professionals provide you animal removal services and pest bug services with your safety and satisfaction in mind. Our Better Business Bureau Ratings, Yelp Ratings and Our Testimonials back that claim up. Therefore, no matter what animal, insect or the situation, we promise to get the job done. Without doubt, you can trust in our professionalism, knowledge, integrity and pride in a job well-done. Before an After Work! 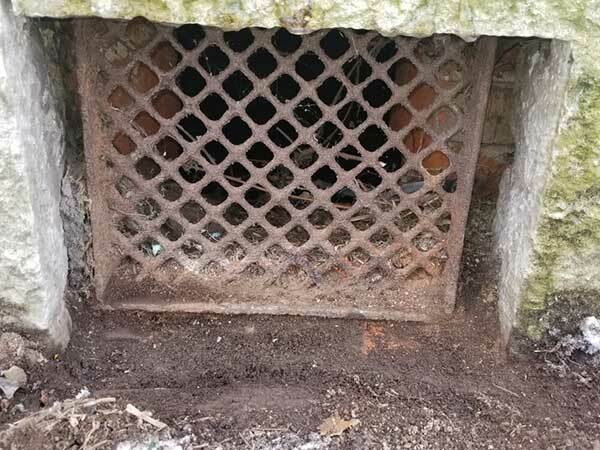 This grate was an entry point for wildlife. 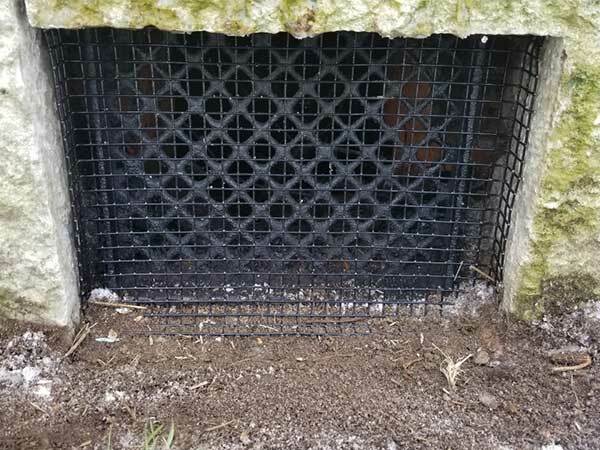 We cleaned and repaired the grate. Wildlife problems gone! Our highly skilled Montgomery County team provides not only Nuisance Animal and Insect Removal. Additionally, we are fully capable of providing a wide range of related quality services. These services include Feces Removal, Deodorizing and Sanitization, Attic Restoration, Re-Insulation, or Drywall Replacement. Also, if you are having serious bird problems, we are a Certified Bird Barrier Installer and Certified Avitrol Installer. So, ensuring your safety and the welfare of your property is important to Montgomery County Animal Removal. Even if it’s not an emergency, we strive to start resolving your problem immediately, many times the same day you call! Because we understand that a nuisance animal can invade your space at any time, we provide 24-hour emergency service. By all means, contact Barnes Wildlife Control’s Montgomery County Animal Pest Removal Service – We Can Work With You! 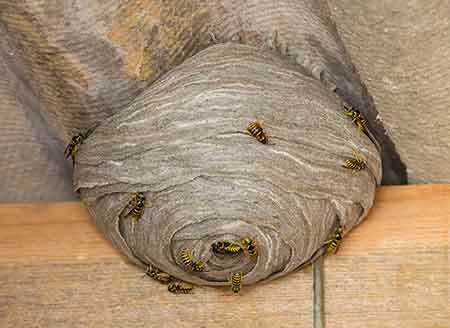 A yellow jacket nest can be a serios problem. A Yellow Jacket sting is not pleasant. Barnes Wildlife Controls Montgomery County Animal Pest Removal took care of this nest so it would not be a problem to humans or pets. So, Look No Further. Get Started Today With Montgomery County animal pest removal.